John Cummings took the next step going into the 1992 season, according to The Los Angeles Times. He did so through practice and new techniques learned through Mariners minor league coaches. 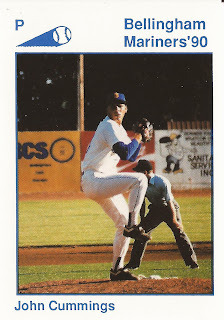 "I finally learned how to pitch," Cummings told The Times, as he approached his start in the Carolina League All-Star game. "Before I was just a thrower. You can get away with that in high school and even in college, to a certain extent. But not here." Cummings took that new approach into his third professional season. In his fourth, he made it to the bigs. He went on to see five big league campaigns, including a 39-outing effort in 1995 played mostly with the Dodgers. Cummings' career began in 1990, taken by the Mariners in the eighth round of the draft out of the University of Southern California. 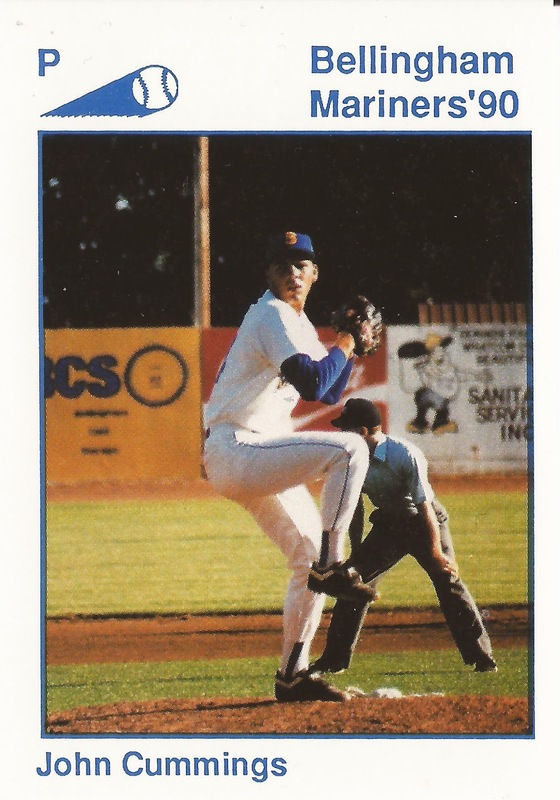 Cummings started with the Mariners at short-season Bellingham and high-A San Bernardino. He returned to San Bernardino for all of 1991. He broke out in 1992 at high-A Peninsula. He went 16-6, with a 2.57 ERA. In 1993, he made the jump in April directly to Seattle. In 10 outings, 8 starts, though he went 0-6, with a 6.02 ERA. "He'll be all right," Seattle pitching coach Sammy Ellis told The Chicago Tribune. "He has had some tough luck. Lost two one-run games. He has a nice curveball and uses it a lot. But the fastball is his first pitch." Cummings returned for another 17 outings, eight starts in 1994. He went 2-4, with a 5.63 ERA. He then moved to the Dodgers early in 1995. In 35 relief outings there, he picked up three wins and a 3.00 ERA. "I just want to keep doing what I'm doing," Cummings told The Times of his turnaround that August. "Hopefully, I'll keep having good results." Cummings played in two more major league seasons. He moved to the Tigers early in 1996. He went 3-3, with a 5.12 ERA in 21 relief outings there. He then picked up 19 final relief outings in 1997 with the Tigers. He picked up two wins and a 5.47 ERA. He played 1998 and 1999 back in the minors with the Indians, Red Sox and Diamondbacks to end his career.